The 19" Fly Lite Ultra Lightweight Aluminum Transport Chair by Drive Medical available in a variety of attractive colors is an ultra light transport chair weighing under 17 lbs without riggings. 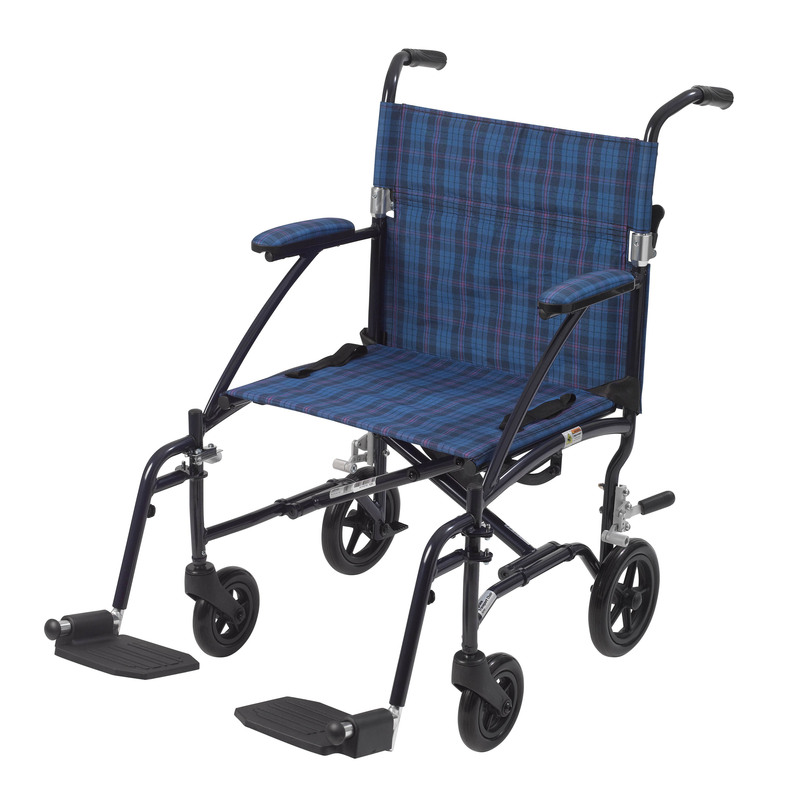 This transport chair comes with a stylish aluminum frame and is available in blue plaid black/white/red plaid or black nylon upholstery. It is also durable and easy to clean. Comes standard with a carry pocket on the back rest to easily and securely transport personal items seatbelt for added safety and tool free height adjustable swing away footrests. The deluxe back release allows the back to be folded down easily making the chair easy to store and transport. GoCart Lightweight Transport Wheelchair, 19"